This truly 21st Century club joined the international Lions community upon its formation in August 2003. Its immediate service area includes the suburbs of Aberfoyle Park, Chandlers Hill, Clarendon, Coromandel Valley, Craigburn Farm, Flagstaff Hill, Happy Valley, O'Halloran Hill and Reynella East. 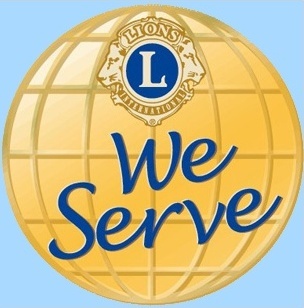 As with all clubs under the Lions umbrella, members direct their respective and joint energies towards assisting those with genuine needs which are unlikely to be satisfied by the infrastructures of society. Membership is of mixed gender, and meetings are held over dinner twice monthly (first and third Wednesdays) with guest speakers as appropriate. Partners and friends are invited to several meetings during the year. There is no requirement for members to attend every meeting, but good camaraderie and a sense of joint purpose ensures pleasing turnouts. Organisations regularly supported by the club include the Royal Flying Doctor Service, Riding for the Disabled and Lions Cord Blood and Childhood Cancer Research Association. It also offers educational scholarships, sponsors third world children, and supports a number of other worthy causes as circumstances indicate. Check out the 'Club Projects' page which describes several of the activities undertaken to fund the causes mentioned above. Financial aid and practical support are also provided for individuals and communities locally and beyond as the need arises. The club's SIMBA magazine provides information on topics of interest from various levels throughout the Lions community. Details of local matters are updated regularly. Click on the 'SIMBA' tab for the current edition. This is a service club made up of people who enjoy each other’s company and share the common aim of assisting others less fortunate. If you have an interest in joining with them, or finding more about Lions, please get in touch using information on the ‘Contact Us’ page – your enquiry will be well received.